Perfect Laser is the world's leading manufacturer of industrial inkjet printer. In order to meet the new and old customers on the market demand for best desktop printer, Perfect Laser has developed an new efficient inkjet printer. This kind of inkjet coder is compact and fully functional. It is easy to operate, with friendly interface, and maintenance-free nozzle structure. And the inkjet coder has a wide range of applications, date, future date (shelf life), time, automatic number, bar code and logo. 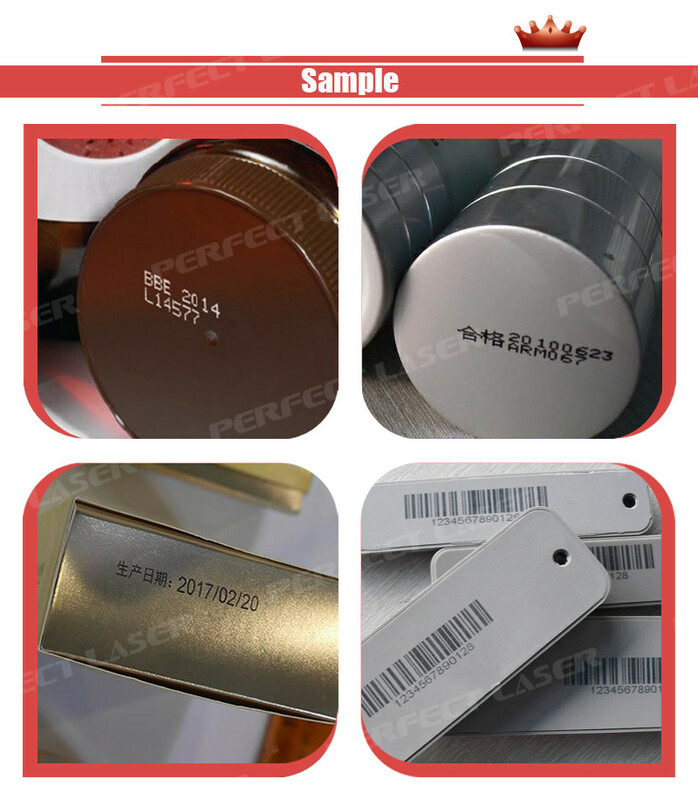 Perfect Laser will provide you with the best quality machines, the most efficient service, and the most favorable price, to improve your production efficiency and management efficiency. 1. Number of print lines: This kind of industrial date printer can print up to 5 lines. 2. Fast printing speed:This kind of industrial date printer can speed up to 6.6 m / s.
3. Character height of the inkjet coder is 1.2 to 11.2 mm, font height are 5 to 32 points. 4. A variety of text options: Latin, Arabic, ancient Slavic, Hebrew, Japanese, Chinese, Korean, etc. 5. This best desktop printer can edit the graphic directly on the keyboard / operator interface. 6. Content of printing with high adhesion and contrast, not easy to scratch off. 7. A variety of one-dimensional and two-dimensional code of the best desktop printer to choose from: EAN8 / EAN13 / UPCA / UPCE bar code, code39, interleaved 2 of 5, Datamatrix and QR code. 8. A variety of inks to choose from: multi-purpose, high-performance ink; alcohol, non-ketone and non-butyl ketone ink. Printing content: This industrial inkjet printer is widely applied in date, future date (shelf life), time, automatic number, bar code, logo and so on. Printing materials: This industrial inkjet printer is widely applied in plastic, aluminum products, PVC, cardboard boxes, and so on.